Early recognition and diagnosis of Alzheimer’s disease is becoming increasingly important given an “explosion of information” of the memory-robbing disorder in recent years. About 95% of patients with Alzheimer’s disease can be accurately diagnosed with the disease while they’re living. This is important as treatments are becoming available that seem to impact disease as far as cognitive function, standard of living and behavioral function go. To better rule out other causes of memory loss or dementia, brain imaging, whether it is computed tomography (CT) or magnetic resonance imaging (MRI), is now recommended, according to the group. Genetic testing, however, has not been found to be particularly useful and is not recommended. Some genes have been found to increase the risk of the disorder. 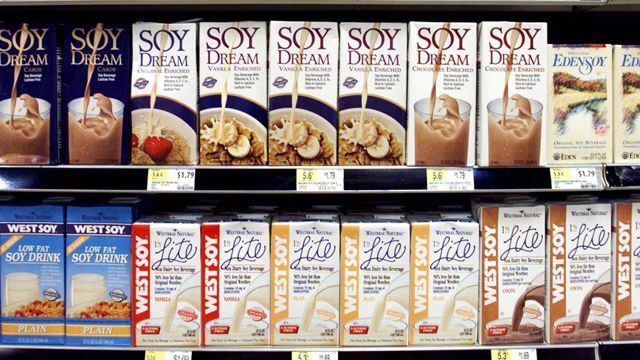 Soy reducing risk of prostate cancer.